If you seek car maintenance or just want to add some upgrades to your car, you’ve come to the right place. Jumia Egypt has a wide range of automotive and automobile supplies that will provide you with the needed support for your vehicle. You can shop for car parts, car care products and even car accessories such as car interior accessories and exterior accessories. Access our car accessories store online today and get all the products you need from the best quality brands such as Launch, Pioneer, Panasonic, Sonax and a lot more. If you’re looking for automotive supplies, we have an entire catalog dedicated for just that. You can also find a collection of car spare parts for many different car models. Looking for car batteries or new headlights? Find a variation that will surely suit your needs. Our car supplies include products such as car seat covers, car wax, car polish and even car cover. 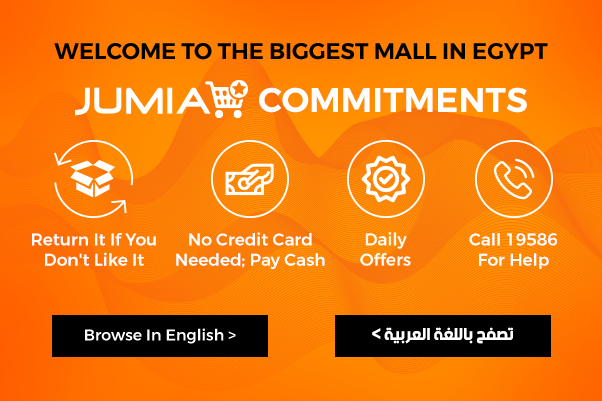 All these products and more can be found on Jumia Egypt at the lowest and most affordable prices, while also maintaining high and durable quality. Shop today and enjoy fast delivery to your doorstep, as well as, free returns.